Macdonald Rd. 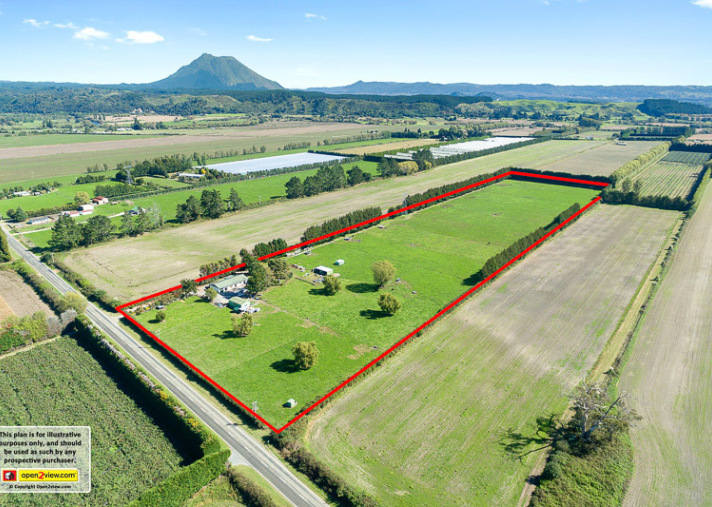 Opportunity to secure 20 acres of quality land in excellent growing area. All flat contour and even, rectangular shaped boundary. There is a bore on the property currently used for stock watering. The very tidy and comfortable three bedroom home has a roomy kitchen with open plan living accessing on to a large north facing and sunny deck. There is a main bathroom and two toilets. An internal access garage at one end of the home is complemented by a carport off the back entrance. The home is located at the road end of the property. School buses stop at the gate. Infrastructure includes a large workshop, calf rearing sheds, cattle yard and loading ramp. 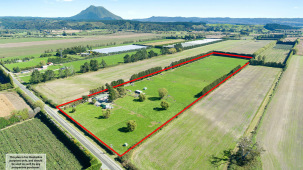 Land currently in pasture and the block has been used as a calf rearing facility. Vendor seeks offers by set sale date, closing 8 May 2019 at 12pm. 8.1929 Ha (20.25 acres). 8.1929 Ha (20.25 acres).